We love color, lots and lots of color, and color is at the heart of our Candy topped Chocolate Pizzas. 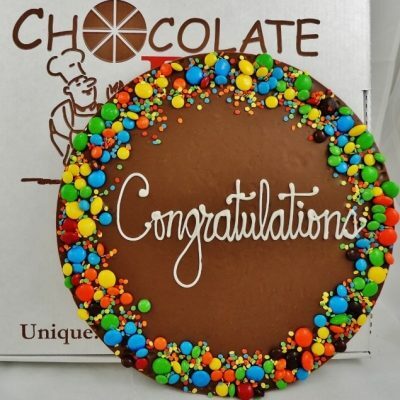 This popular gift choice is a customer favorite year-round because it tastes delicious, looks cheerful and is made with the best ingredients. 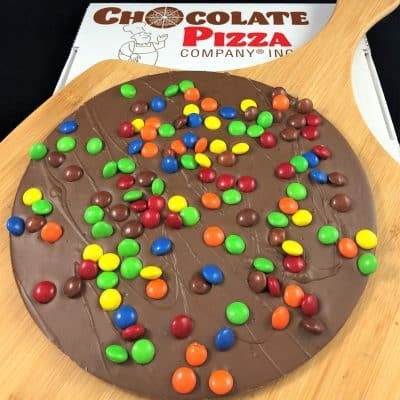 Choose bright, hard-shell chocolate gems or colorful peanut butter candies and add a splash of rainbow sugar sprinkles and you have a Chocolate Pizza that is ideal for any occasion or holiday. 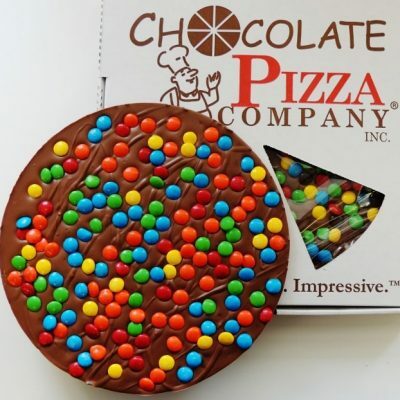 You can’t go wrong with any of our Candy Chocolate Pizzas. 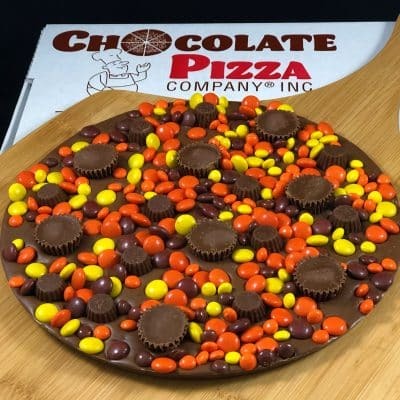 All of them start with rich milk or dark chocolate and blend in homemade English toffee, poured into pizza pans and topped it with plenty of candy. 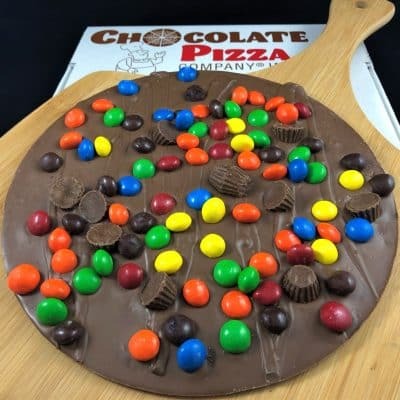 Sealed in cellophane for freshness it is served in a custom pizza box (a regular Chocolate Pizza is about 10″ in diameter and a large size is about 12″ in diameter). 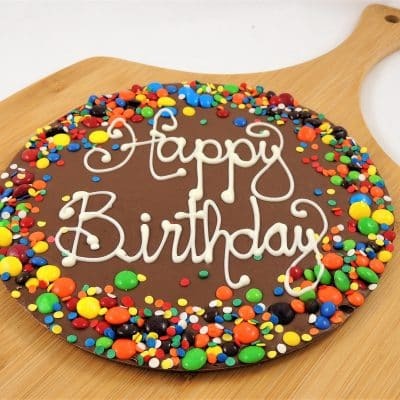 Finding a unique gift can be a challenge but relax your search is over. 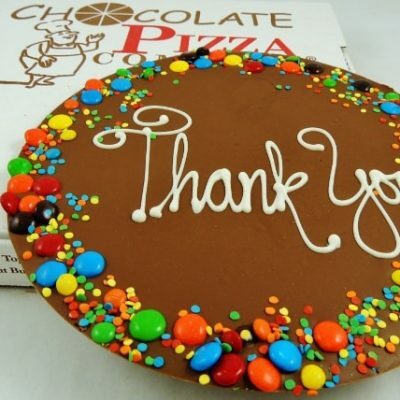 This Chocolate Pizza is the perfect choice for birthdays, anniversaries, holidays, graduation or any special occasion. 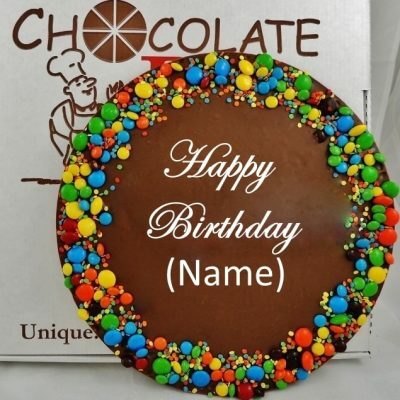 Give a gift you know they will love and remember.